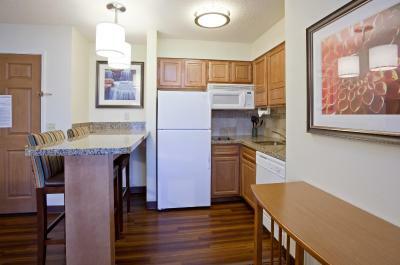 Lock in a great price for Staybridge Suites Minneapolis-Bloomington – rated 8.8 by recent guests! The location, the parking, the nice coffee and breakfast area. It was comfortable, quiet, and they breakfast was excellent!!! Very clean, friendly staff, good location (close by to our families), nice breakfast, and most of all it is pet friendly with nice areas to walk our dog! The exercise room is nice but here is my only “ding” — one of the treadmills was not working and there were several people waiting in line to use it! This happened when we stayed here last time as well! I’m sure these machines get a workout throughout the weekend! But this particular Saturday morning it was busy! Other than the treadmill (and everyone who was waiting all cooperated and we all got our turn - just had to wait to use the one machine) - Staybridge Suites in Bloomington,MN is a great place to stay! Super cozy and awesome staff! Breakfast was good! The staff was very pleasant and helpful. The bed was super comfortable. I was happy that there was a shuttle bus. The staff was very friendly and the Hotel was clean,comfortable and cozy. room was very clean. bed was extra comfy. pool was not bad. breakfast was great. I stayed in the Queen suite, and it was everything AND MORE! The bed felt amazing and was clean from top layer to bottom layer. The kitchen is also a wonderful addition especially while traveling with a child. Their patio is gorgeous and even better that you can take your breakfast outside and eat it if you choose. Having the full length body mirror aside from the vanity mirror is also a good choice. Overall I would recommend this place to my friends and family over and over again! Pool, laundry, breakfast and some evening meals. Facilities and service great. Will be back next time in town. Staybridge Suites Minneapolis-Bloomington This rating is a reflection of how the property compares to the industry standard when it comes to price, facilities and services available. It's based on a self-evaluation by the property. Use this rating to help choose your stay! 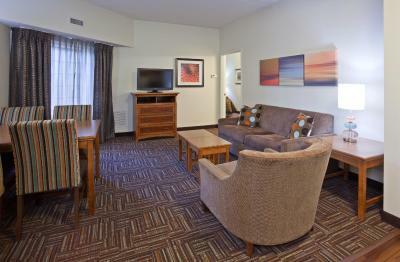 This Bloomington, Minnesota hotel is 20 minutes from downtown Minneapolis and offers a free shuttle to/from Minneapolis St. Paul International Airport and the Mall of America. Suites feature free Wi-Fi. The suites at this Staybridge Suites include a living area with sofa bed, work desk, and cable TV. The kitchen is equipped with a stove, microwave, and dishwasher. Cookware and dishware are provided. Room service is available. The Minneapolis-Bloomington Staybridge Suites hosts a 24-hour gym, an indoor pool, and a hot tub. A 24-hour snack shop is open in the lobby for guest convenience. A fully-equipped business center is also located on-site. The Mall of America is only 10 minutes from Staybridge Suites Minneapolis-Bloomington. The Minnesota Zoo is 20 minutes from the hotel. 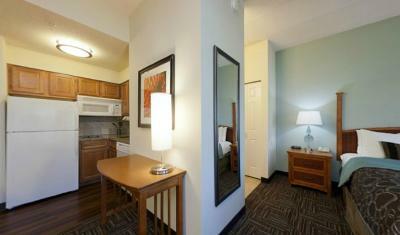 When would you like to stay at Staybridge Suites Minneapolis-Bloomington? This spacious suite features 2 full bathrooms, a full kitchen, and a large work area. Offering free Wi-Fi and a flat-screen TV, this studio includes a full kitchen. With free Wi-Fi and a flat-screen TV, this suite has a full kitchen. House Rules Staybridge Suites Minneapolis-Bloomington takes special requests – add in the next step! Staybridge Suites Minneapolis-Bloomington accepts these cards and reserves the right to temporarily hold an amount prior to arrival. It was terrible at the continental breakfast for the patrons to be allowed to be there without shoes or socks, terribly unsanitary. People in their underware or PJ's, totally not very becoming. The blonde was so nice! our room was nice however it was not clean. We found a sock on the floor and hair in the tub. Also staff seemed clueless. The exercise room could be a little larger with a few more treadmills- since this is the machine guests gravitate towards when working out! Great breakfast and friendly staff.